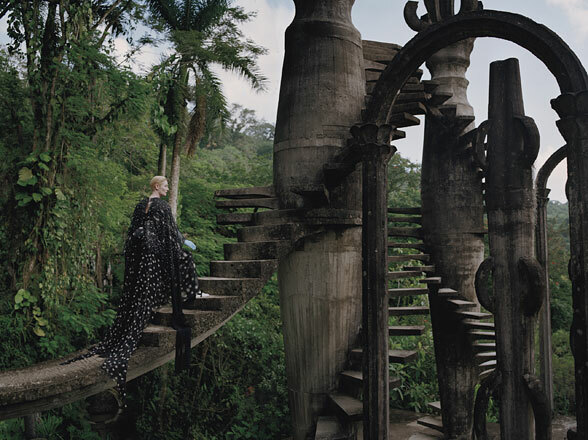 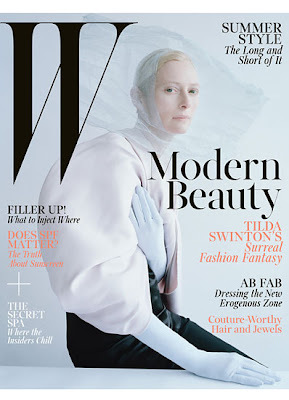 For the May 2013 issue of W magazine, Tilda Swinton traveled to the legendary Mexican estate of Las Pozas to model couture by some of the most talented designers currently working. In 1945, the estate was created by Edward James (he was the American-British son of William James, heir to the 8,000 acre James family estate of West Dean House in Sussex, and an openly bisexual poet) more than 2,000 feet above sea level, in a subtropical rainforest in the mountains of Mexico just outside the town of Xilitla. 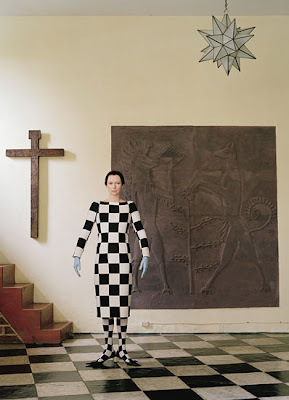 James was a patron of surrealist art and artists which included Salvador Dali whom he supported for all of 1938! 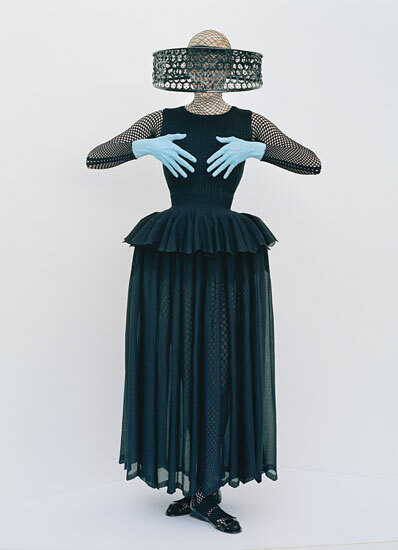 His surrealist art collection included pieces by Giorgio de Chirico, Paul Klee, Leonora Carrington, Pavel Tchelitchew, Pablo Picasso, Giacometti, and Max Ernst among others; James was painted not once but twice by René Magritte, and photographed by Man Ray! In this spirit, he created, on some 80 acres, a surrealist fantasy of strange structures up to four stories tall, turrets, steps/ ramps/ walkways and footbridges with fanciful curlicues, and buildings (with hidden rooms and staircases that go nowhere) with names like the House on Three Floors Which Will in Fact Have Five or Four or Six, the House with a Roof like a Whale, and the Staircase to Heaven. 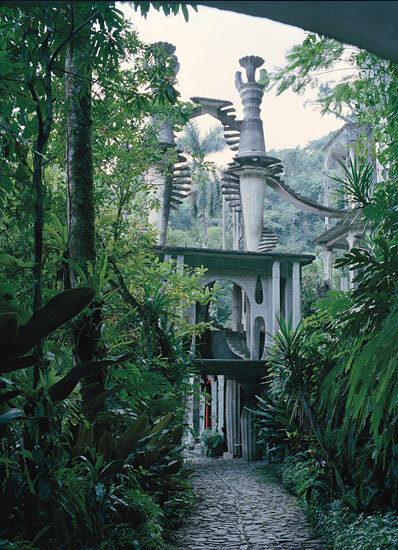 After James' death in 1984, the estate fell into ruins but in 2007, the Fondo Xilitla, a foundation that will oversee the preservation and restoration of the site, acquired the property. 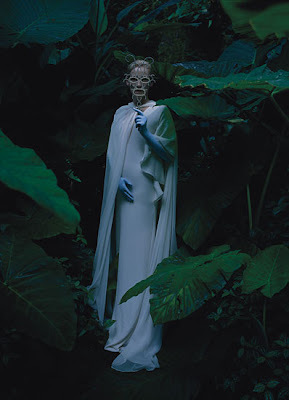 Thankfully, James' unique vision will continue to live. 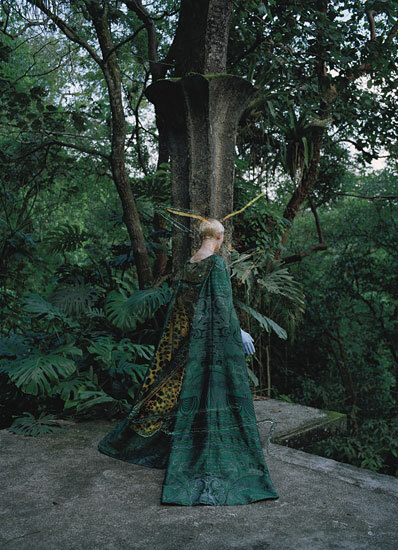 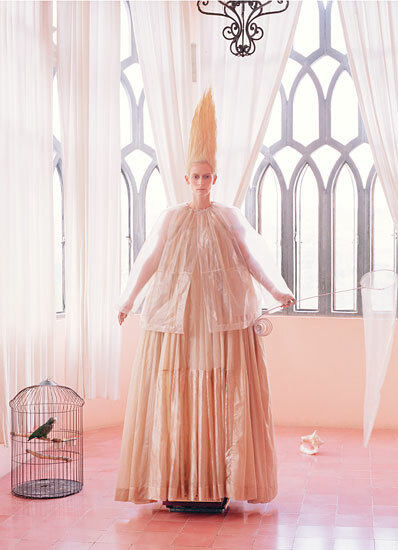 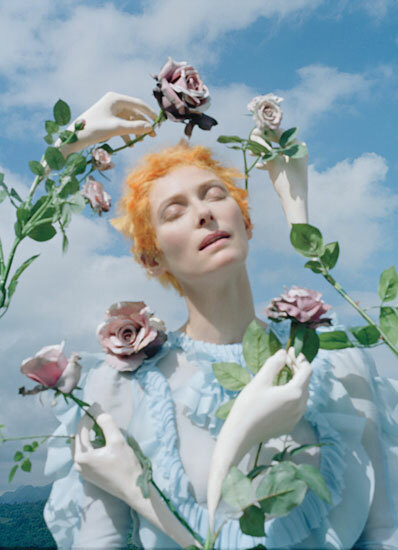 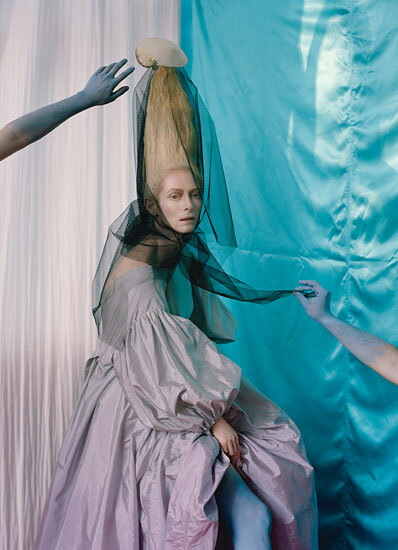 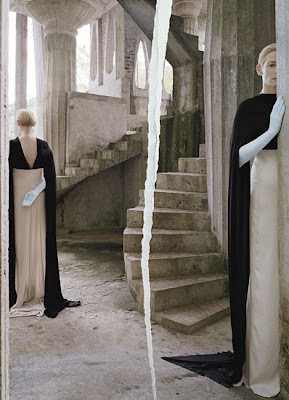 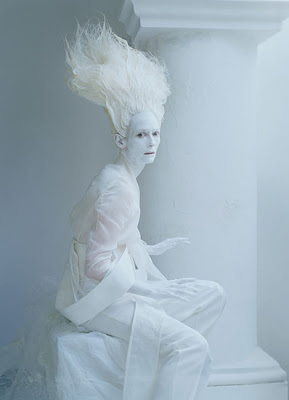 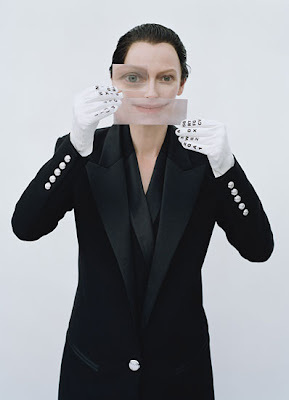 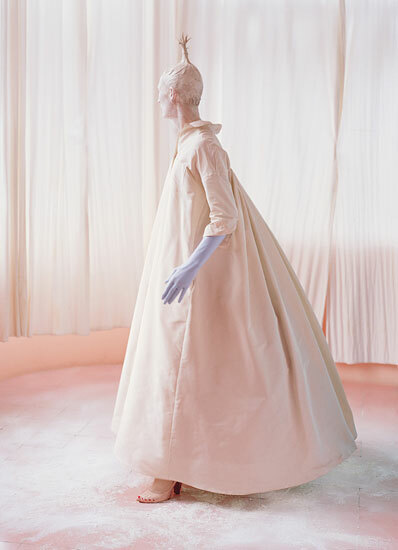 Also in this spirit of surreality, photographer extraordinaire Tim Walker (previously here) teamed up with stylist Jacob K and the lovely, ethereal, and talented Tilda Swinton to recreate several surrealist masterpieces in and around Las Pozas. 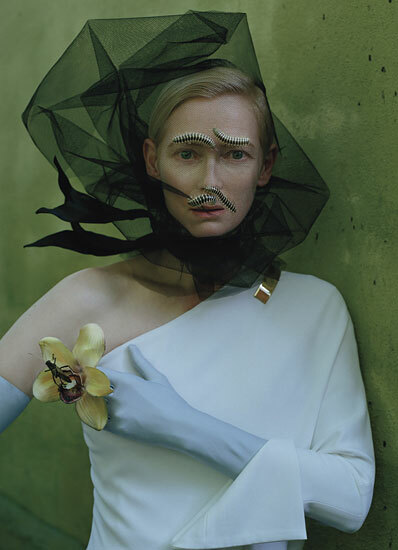 I am sure James would approve.